Brukner and Khan's Clinical Sports Medicine is the bible of sports medicine. The text explores all aspects of diagnosis and management of sports-related injuries and physical activity such as the fundamental principles of sports medicine, diagnosis and treatment of sports injuries, enhancement of sports performance and dealing with special groups of participants. Each chapter has been comprehensively reviewed and updated and there are 12 new chapters which cover topics such as military medicine, prevention of sudden cardiac death and the integration of evidence into clinical practice. The contributing authors are renowned experts in their field and are based all around the world. 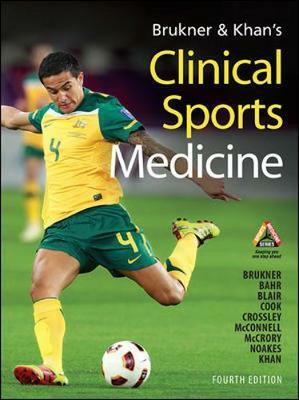 The fourth edition is enhanced by a new companion website featuring Clinical Sports Medicine Masterclasses Online. Readers will gain access to this secure site via a pincode included with the book. The site will include video clips of clinical examinations, interviews with leading experts and will be updated regularly.